Are you thinking of having new lighting installed? Or your old wiring repaired? Then why not hire one of our very own master electricians? Every one of our employees has trained and gained experience in a huge variety of settings. So whether you want basic panel servicing or upgrades, or you want a residential wiring system installed in your newly built home, give us a call today! Here are just a few of the things that our master electricians can help you with. Wire Works have been servicing the Colorado Springs area for years. Over that time, our electricians have gained plenty of experience working on new homes and offices. Whatever you’re building, you should never consider having wiring installed by either an amateur or an electrician who isn’t qualified and licensed to do so. Over the years to come, you’ll enjoy the safety and peace of mind of having had the job done right. Our Master Electricians have the know-how and experience to install your new wiring system! We can provide new wiring for old homes, too. So if you’ve built an extension, or you want your old wiring replaced for safety reasons, we’re ready to help. Older wiring systems can fall prey to damage from the elements, or even vermin, over the years. That’s a safety risk, as frayed wiring can cause electrical fires. You wouldn’t believe the number of ‘accidents waiting to happen’ that we’ve seen over the years! 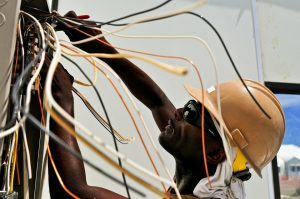 That’s why many residents of the Colorado Springs area are opting to have their existing residential wiring replaced. It might sound like the kind of job that you can put off, but it really isn’t- your home or livelihood could be at risk. 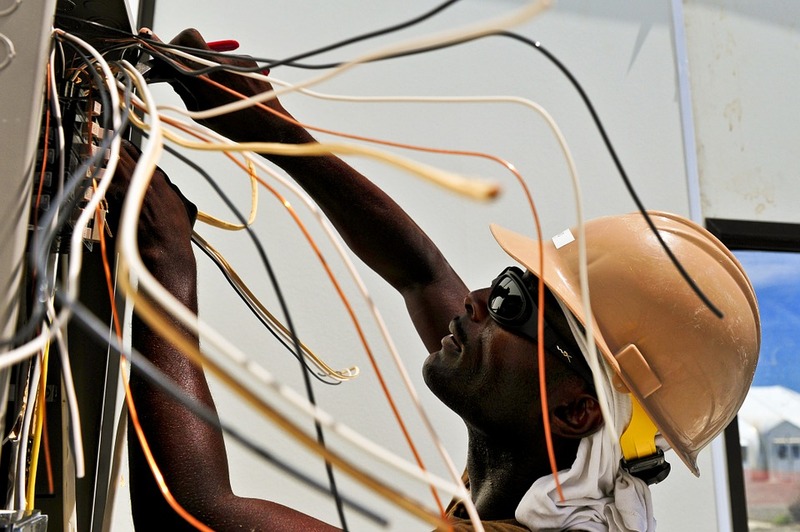 Our electricians make the job simple, easy and affordable. If you’d like to know more about our wiring replacement service, you can always get in touch! So if you’re worried about your wiring, give us a call, and we can perform a full safety check and service for you! We can take a look at the electrical wiring in your house from top to bottom, to pinpoint potential dangers. Like we said above, loose and frayed wiring can be an accident waiting to happen. But maybe your wiring is fine apart from one section! That’s where our repair service comes in. We can patch any part of your existing system. So, if your electrical wires have frayed around one corner of your home but nowhere else, we can fix that for you! And our regular service can stop problems like this from happening in the first place. Are you having a new bathroom or kitchen fitted? You can buy all the fancy kitchen islands and pizza ovens you like, but you’ll literally be in the dark if you don’t have your new kitchen or bathroom wired up first! And when you do have your new room wired up, it’s worth sticking with a professional, so that you can rest assured you won’t be experiencing electrical problems in the near future. Remodels like this are the everyday work that keeps our electricians busy. We’ve been working on jobs like this in the Colorado Springs area for over twenty years. So why not trust us to do the job for you, and to do it right first time? If you’re living in an older house, your electrical panel might not be up to the job any more. Modern devices like computers and high-definition TVs use far more power than some old electrical panels can handle. And as we keep adding more and more devices to our lives, that need for more power is only going to increase. So if your panel is getting on in years- if it’s more than a few decades old, especially- you should consider having your electrical panel replaced. 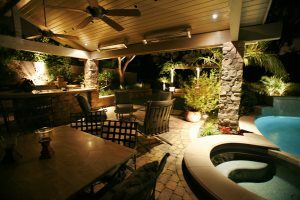 If you’re having your yard landscaped, the picture wouldn’t be complete without professional lighting! Your new outdoor kitchen or dining area can be made twice as nice with bright lighting. Or alternatively, your Jacuzzi or swimming pool can look classy with some low mood lighting! Whatever we install depends on your design. We listen to your needs- whether you want to entertain, spend time with your family, or with your partner- and advise you on what might work. These are some of the most fun projects to work on, because the right lighting really makes your yard come alive. Our Master Electricians are experts at working with your professional lighting design ideas. Before we start, we take in every detail of what you’re after: what mood or atmosphere you want to create, what parts of your house you want to accentuate from the outside, and how exactly to create the comforting family atmosphere you’ve always dreamed of. We take your ideas and turn them into a reality. Our specialists will first tour your house, pinpointing each location where lighting would create the effect that you want. Remember, we’ve been working on projects like this for more than 20 years: so when it comes to advice about how to light your dream home, we know what we’re talking about! If there’s anything that you’re still not sure about, you can always ask our friendly technicians. And if you’re interested, give us a call today. We always try and answer in three rings- you could be talking to a Master Electrician in just a minute from now! So what are you waiting for? Home security systems Colorado Springs: Why have one installed? On October 1, 2017 / Blog, Colorado Springs, Security System, Smart Home & Security, Uncategorized / Comments Off on Home security systems Colorado Springs: Why have one installed? If you don’t have a home security system installed, what are you waiting for? There are so many reasons you should have one installed, even besides keeping your home safe. 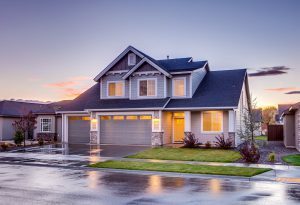 Here are our five favorite reasons why we think you should have a home security system installed! The number one reason why anyone has a security system installed is to keep their home and valuables safe. In some areas of the country, homeowners (and renters!) are at risk of burglary. You’ll never know when they’re about to break in, and if you’re unlucky, you won’t hear them. Burglars can take everything of value that isn’t pinned down, and leave your house in an awful mess. Anything that stops that is a good thing. Burglar alarms keep burglars away. Not only can a home security system inform police of a break-in, and sound an alarm if there is one, but it will deter burglars from even attempting to break in. A home security that’s visible from the street will stop your home from being burglarized at all. So whether you’re at home, or you’re on holiday, you can rest assured that your home and everything in it are going to be safe. Home security systems are for keeping safe everything that’s valuable to you. So whether that’s your jewellery, your computer, your Xbox, or your loved ones, a home security system can help. Of course, even more important than your valuables are your family. You can’t possibly put a price on keeping you and your family safe. And a home security system will do just that. 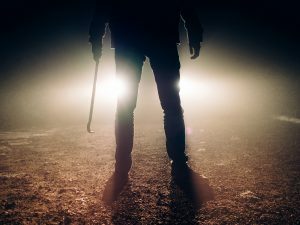 Of course, the worst case situation of a burglary is that you or your family will be hurt, either in confronting the burglars, or for some other, even worse reason. It doesn’t bear thinking about. But you can have peace of mind by installing a security system, so that situations like that won’t ever arise. If you’re not sure how your system works, you can always ask one of our friendly master electricians! Onto another important reason. Having a home security system installed can actually help to save you money in the long run! Home insurance premiums, like every other kind of insurance, are determined based on risk. So if you’re going on holiday to somewhere particularly dangerous, your travel insurance will cost more. Or, if you keep your car on the kerb instead of in your garage, you’ll pay more for auto insurance. It’s how insurance companies make money! The exact same applies to home insurance. If your home is somewhere dangerous, you’ll have to pay more. If you keep Picasso paintings on the wall, you’ll have to pay more again. And if you have no home security system, you’ll have to pay the most. You can knock a sizeable chunk from your monthly premiums by having a security system installed, so you’ll be able to save a lot of money in the long run. And where we’re from, saving money is always a good thing! Make sure your home stays safe and secure by installing a home security system. Another reason to have a home security system installed is that it can improve the value of your home. Any kind of home improvement does the same. So, if you have a new kitchen installed, you can add a few thousand dollars to your house price. If you have your yard landscaped, you can add a few thousand more. And the same goes for having a home security system installed. If you ever look to sell your house, potential buyers will be impressed with your security. Nobody would want to move into a house in a dangerous area, with no security, weak locks and flimsy doors. But if you’re serious about security, you’ll be able to impress buyers and make it simple for them to imagine living in your home. So whether you’re trying to sell your first home, whether it’s in an unsafe area or not, you’ll have a much easier time selling it with a home security system- and you can charge more, too! An important part of a full security system are security cameras. And they’re not just for watching your front yard. You can have them installed throughout your home or business, to keep an eye on everything from your kitchen to your lounge. When you’re away from home- on holiday, on a work trip, or just out and about- you can rest assured that anything going on back home will be on camera. And thanks to technology, the live feed from these cameras can be accessed online. Talk about useful! So when you’re on holiday or out for the night, you can keep an eye on your home. You’ll have no more trouble with the babysitter- and all because you had a home security system installed!